Home » Posts Tagged "vdsl2"
I realise that the title of this article is a bunch of acronyms, but it’s going to be informative none the less. 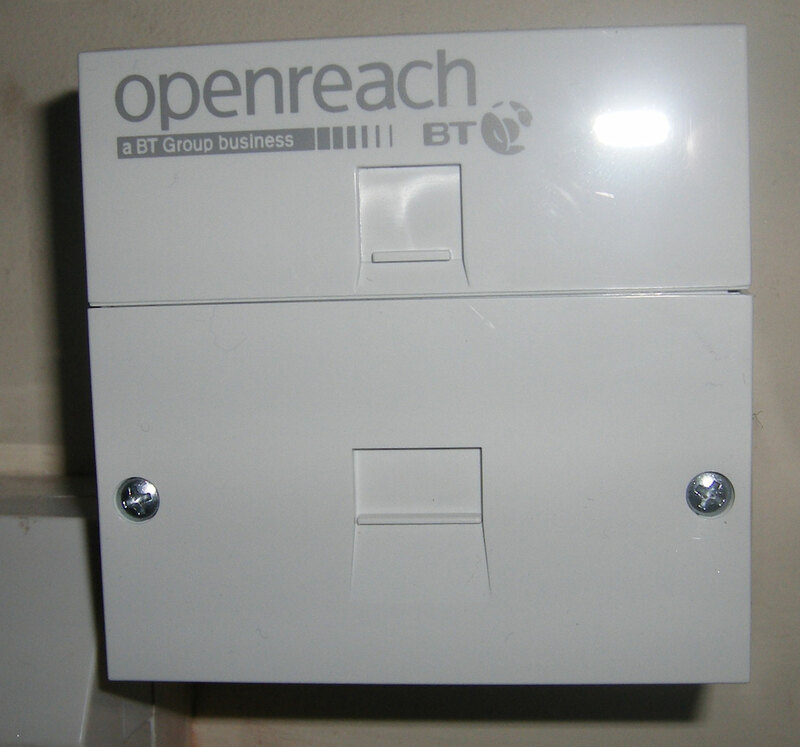 BT Openreach will come and install a new faceplate on your socket. 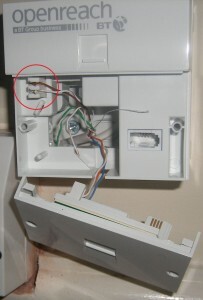 This stacks on top of your existing faceplate and has a cutout in the bottom so that the engineer does not need to disconnect any extensions you have on the socket. The installation is quick and was done within 5 days of booking it. The faceplate is a filter which splits the phone signal as it comes into your house into VDSL2 and regular phone. 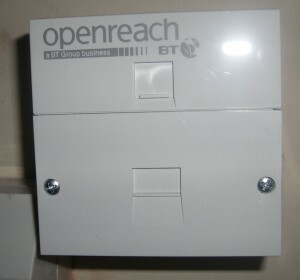 It presents you with an RJ11 socket (not RJ45, as a lot of forums are saying) for VDSL2 and a standard BT 431A phone connector. Inside the faceplate is pretty unspectacular. 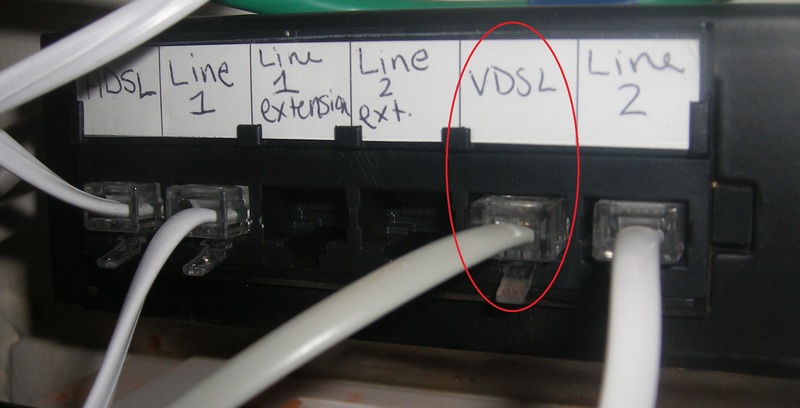 There’s a 2 pin krone connector which you can use to carry the VDSL2 signal over twisted pair cable to another location. You’ll see from the image that I have the browns of a cat5e cable connected in order to take the signal to a patch panel in another room. I have just connected this into a patch panel, to which I connect the modem. 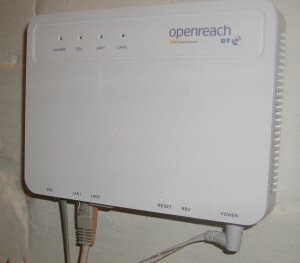 The openreach engineer with also install a modem. The modem can wall mount and the engineer can leave you with a paper template to make this a little easier. The modem presents you with an RJ11 to connect to the phone socket as well as an RJ45 LAN port. Once the LAN port is connected to a computer or router you dial your service using PPPoE. My cabinet isn’t far away, and I’m getting pretty decent speeds. My upstream is a little lower than it should be and I plan to query this with the ISP. Update @ 2013-03-29. An upgrade!